2017 C7 vs 2000 SE - Miata Turbo Forum - Boost cars, acquire cats. We got a chance to get in several races. 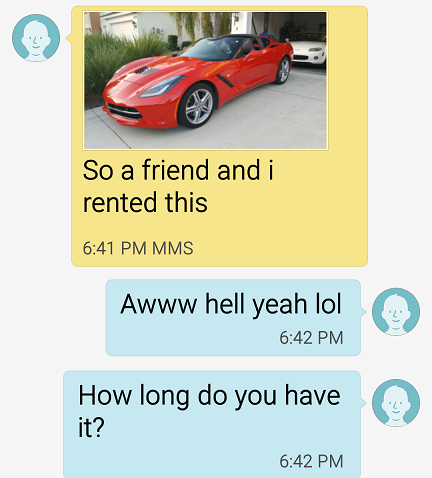 I was a little disappointed when I got to his house, he pawned his friend off on me so he could ride in my car. I feel like a couple hundred extra pounds really kills a miata, especially against a vette with no passenger. Anyway, I felt like the car held it's own. You definitely have a very quick miata. Re-watched the videos and the 3rd and 4th videos seem pretty good to me, maybe the 3rd honk was a little short on the first 2 runs. I'm sure there's a lot of hustling that goes into a most roll honks you see online. I've had my share of races that I felt cheated on for sure. In this situation, we're good friends that both just wanted to see a fair race for the sport of it. Chalk any inconsistency up to just dumb humans and their adrenaline I suppose. Awesome. Glad to see you are still ******' **** up in a miata. In the Spirit of Halloween - Misfits - "Halloween"